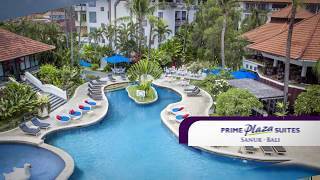 PrimeBiz Hotel Surabaya is a Mid-Scale Hotel under the management of Prime Plaza Hotel & Resorts. With the concept of modern hotel and Indonesian hospitality services, Primebiz Hotel Surabaya is coming to make your business and pleasure stay comfortable with our High Speed Wifi Connection and Special Surabaya Food. Strategically located in South Surabaya, only 15 minutes away from Juanda International Airport, Primebiz Hotel Surabaya is close to the second biggest mosque in Indonesia (Masjid Agung Al-Akbar Surabaya), Sakramen Mahakudus Catholic Church, DBL Arena, City of Tomorrow Mall, Government Offices, Suroboyo Night Carnival, mini market and access to Sidoarjo, Gresik, Pandaan, Pasuruan. For those of you who want to held meetings, seminars, or conferences in Surabaya, Primebiz Hotel Surabaya provides you the perfect place. We have 7 meeting rooms with different capacities ready to be booked. Our meeting rooms are equipped with advance and modern facilities with up to 200 persons on theatre style. Stay with us and have a memorable experience, we ensure that your needs will be taken care!